I’ve been wearing Lady Speedstick 24/7 for as long as my sweat has stank and frankly hadn’t considered another brand, eco or otherwise, since. Even when I was hired as a ‘real beauty’ model for Dove deodorant a few years ago, a print and tv ad that keeps one reappearing to shame me for my sins, I didn't flinch. I just kept right on applying the chemical mess that the Speedstick brand offfers to what is probably the most porous area of my skin (Our bodies ingest up to 60% of what we apply onto it). Since embarking on this #GoneGreen2016 day series I’ve slowly been editing the products I use as I run out of them, and hadn’t yet reached deodorant as I’d had made my mum cart over a bunch of them last Christmas (they don’t sell it in Europe) and I figured it was greener just to use it up. What I hadn’t thought about, was what is actually in it. Lady’s Speedstick 24/7 is actually an antiperspirant, and up until now, I’d never defined the difference. Antiperspirants are chemical agents that reduce perspiration and sweating, while deodorants just mask the smell produced by sweat-eating bacteria. · PARFUM which can trigger allergies and asthma and are also linked to cancer and neurotoxicity, they’re also harmful to fish and other wildlife. · SILOXANES used in a variety of cosmetics to soften, smooth and moisten, it is suspected to be an endocrine disrupter and reproductive toxicant which is harmful to humans as well as fish and other wildlife when washed down the drain. · PEGs, a possible cancer-causing human carcinogen which doesn’t readily break down when it washes down the drain or is disposed of. Even when I became aware of this, I still hesitated to make the switch. I grew up with a hippie mama complete with hairy armpits (although she's started waxing now if you must know) and I remember her 'weird' deodorant rocks and the weird smell they gave off. As much as I have since happily embraced returning to being my mother's daughter - rather than the shopping addicted McDonald's eating cheerleader I for a short time became in rebellion against my very eco, vegetarian and conscious upbringing - somewhere in me still, those judgements from my teenage years remain. I was, in this instance, scared to try something new for fear of facing my own scent. Then I started seeing the brand Schmidt everywhere, with eco and non-eco bloggers alike raving about it. This summer my last stick of chemical filled speedstick ran out, so I decided to take a leap and try it. It ticked eight out of the ten boxes I've set out for myself in terms of accepting beauty products: (1) made with natural ingredients, (2) palm oil free, vegan, (3) cruelty-free, (4) free of nasty chemicals like aluminium, propylene, glycol, parabens and phthalates, and (5) their ingredients checked out on EWG (click here to check the ingredients of your deodorant). It also came with the option of (6) being packaged in glass, where you can send back 5 jars to be recycled into new ones and receive a new one for free. It also had the option of the traditional plastic stick applicators which are 100% recyclable and made with 60% recycled material. It's a product I (7) can share with my husfriend, we ended up buying a second one last time we were travelling separately, but we technically don't need two. (8) It worked too, not 24/7 like Lady's speedstick, but it stands up to a good 12 hours of sweating through heat, regular activity or sport. The only two boxes Schmidts hasn't yet tick, and these are more just a matter of me emailing at asking, were: (9) I couldn't find any info on if their ingredients were sustainably and ethically sourced and (10) I don't see any philanthropy. I have to admit, the jar deodorant took some getting used to as you have to apply it with your hands, but having tried the plastic stick applicator previous I can say it works just as well, if not better, as the self-application covers every inch. My experience is similar to most other bloggers I've seen, but as you may need to try about two or three brands before you find one which works with your body chemistry. I thought I'd list some other popular natural, non-toxic deodorants as Schmidts is by no means the only player in the game. Fav Scents: my favourite scents are (winter) Cedarwood and Juniper, (summer) Bergmont and Lime and (spring and fall) Ylang-Ylang & Calendula. With two people using the product daily, it lasts about 2.5 months. Eco + Ethical How? This brand run by my fellow Canadian compatriots offers both (1) vegan and non-vegan jars of deodorant formulated with (2) natural ingredients. It is (3) ethically crafted wit the health of the planet and its inhabitants in mind by a set of sisters in Alberta Canada. 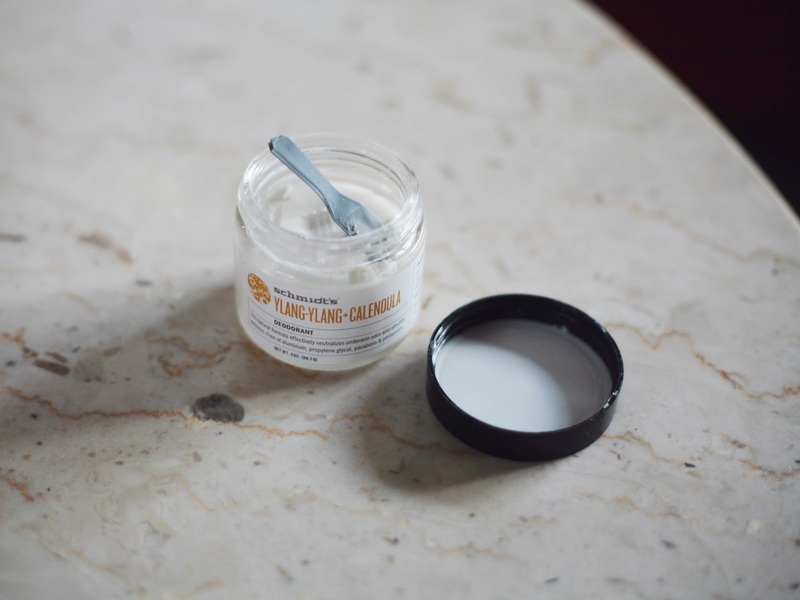 There are no nasty ingredients like aluminium zirconium, aluminium chlorohydrate, parabens, triclosan, or propylene glycol and the ingredients they do use (4) check out on EWG's website. It is, as they say on their site, tested on friends not animals (5) and housed in reusable jars (6). They are (7) philanthropic too offering a portion of their sales to a number of giveback programs. My buddies at Selva Beat have written a glowing review of the product (8), and the product can be used by both sexes (9). This product is also palm-oil free (10) bringing it to eco & ethical perfection under my 10 point rating! Eco + Ethical How? 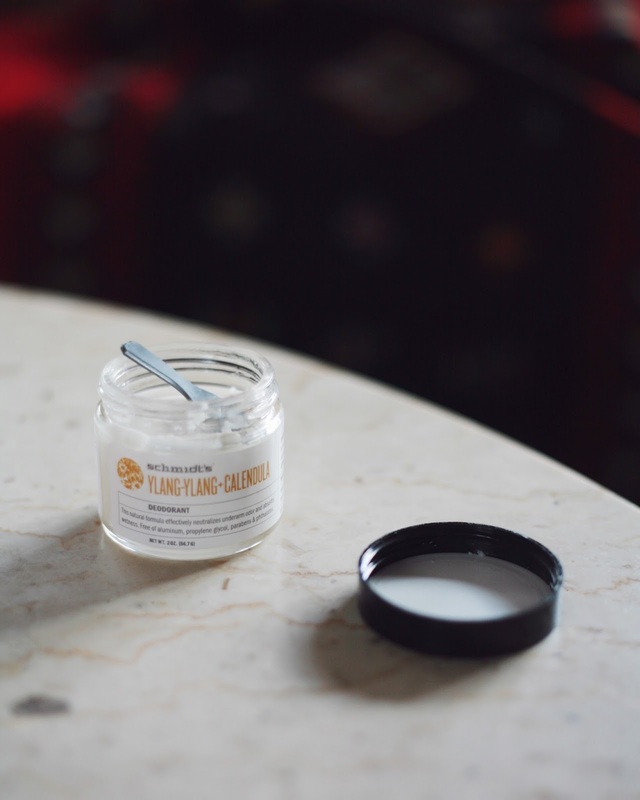 It's a small-batch skin care company that creates (1) vegan products with (2) pure, all (3) natural and organic ingredients. All their products are made with organic, unrefined plant oils and butters, steam-distilled and cold-pressed essential oils and (4) organic and wild-crafted botanicals. It is Leaping Bunny cruelty-free certified. (5) They package all their goods in glass or PCW paper and are (6) palm oil free. Their products can be used by both sexes (7). All their ingredients, however, check out on EWG (8). Though I haven't tried it myself, my blogger buddy Eco Cult gives it a positive review (9). I didn't see anything about philanthropy on their company site, but again, I'm sure if I emailed them they'd not disappoint. Eco + Ethical How? 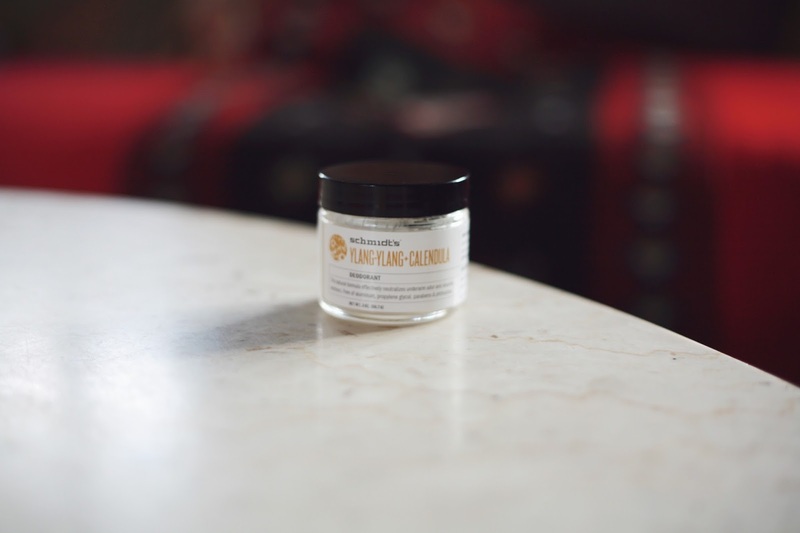 Handcrafted body care brand made up of (1) natural ingredients with recipes passed down from various healing traditions to craft innovatively simple products that are (2) good for the body and the earth. Her formulas contain beeswax which makes them not vegan (not really a problem for me, but is for some) but is (3) cruelty-free and palm-oil free (3). Their products aren't tested on animals (4) and are packaged in glass (5). They can be used by both sexes (6) and have great reviews throughout the internet world as doing a bang up job (7). All their ingredients check out on EWG (8) and my Blogger buddy Selva Beat loves the brand and has tested in numerous times (9) so I'll give them the point due to their review! Like all the other brands, I didn't see anything about philanthropy on their sites, but I will email them to adjust the rating at some point! Eco + Ethical How? 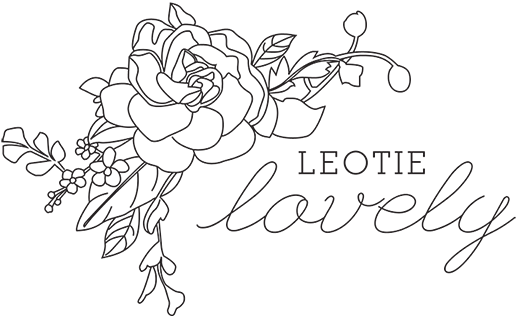 My little sister, a yoga teacher / osteopathy therapist / masseuse has fallen in deep love with this super small brand from Ontario, Canada. She makes her beauty products in small batches using all (1) natural ingredients. I can vouch for my sister's 'scent' and she said since making the switch to this brand she hasn't had a moment of stench while treating her patients in the various sweat inducing ways she does (2). Her products are palm-oil free (3) and mostly vegan (4) and definitely not tested on animals (5)!. Her ingredients also check out on EWG (6). My sister's Canadian airforce pilot partner uses the deodorant too (7), and he's in a sweaty cockpit all day (. My only issue with this collection is it is housed in plastic, which I'm hoping as she grows she can adjust to. She's just getting started so other than personal philanthropy I didn't see anything about sharing her profits but I'm sure that will come! Eco + Ethical How? I've been slowly moving into making my own beauty products over the past year. We make our own toothpaste (I just went to the dentist today and no issues, she said she approves of the recipe too), I've started playing with body butter recipes and am planning on doign an Atelier with a local Parisian beauty product maker named Natalie Soa (I keep being out of town when she does her course!). By making your own you control every aspect of its creation, allowing you to choose organic, responsibly sourced, palm-oil free ingredients. You can make small batches just for yourself reducing your overall impact. ** Check your beauty products and their ingredients on the Environmental Working Group's website HERE. ** If you'd like to read some more opinions and discover some other brands, there's a great website called Reviews.com with really great covereage on natural deoderant HERE. △ A portion of any profits made from affiliate links in this post will be donated to EWG for their hard work and research in protecting and informing us folk.